A couple of weeks ago we drove a couple of hours south to my cousins wedding. It was an outside wedding, so it was going to be really hot. Like 100 degrees hot. 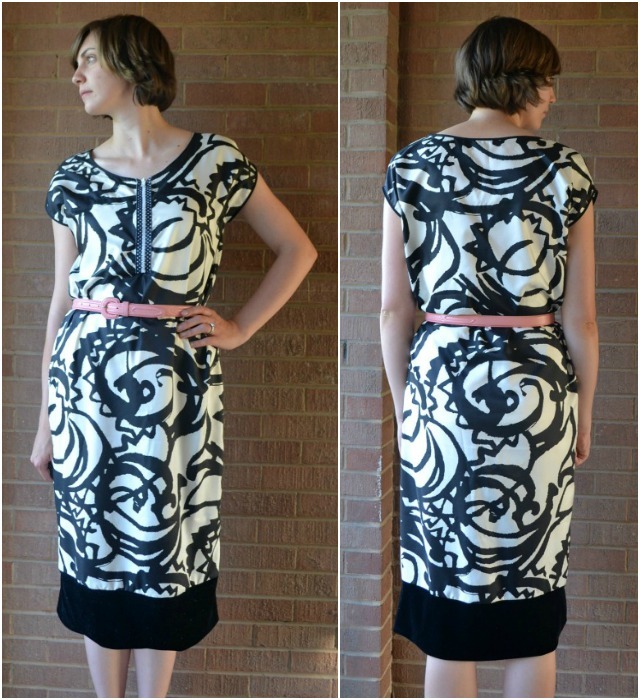 I needed a dress that would breathe and keep me cool, but it needed to look good for the wedding and have nursing access. Instead of trying to buy one and getting frustrated, Sew-a-bration of Womanhood with the Shaffer Sisters gave me the perfect reason to make something for myself that would meet all my needs. I found some beautiful black and white 100% silk in my stash that I had forgotten about. I made a really basic shift dress with cap sleeves and a zipper front so there is nothing tight to make me uncomfortable in the heat. I just wear a belt with it to cinch in my waist, and the silk is beautiful and soft with a perfect aztec print. 1. Make a dress or get a dress to alter. 2. 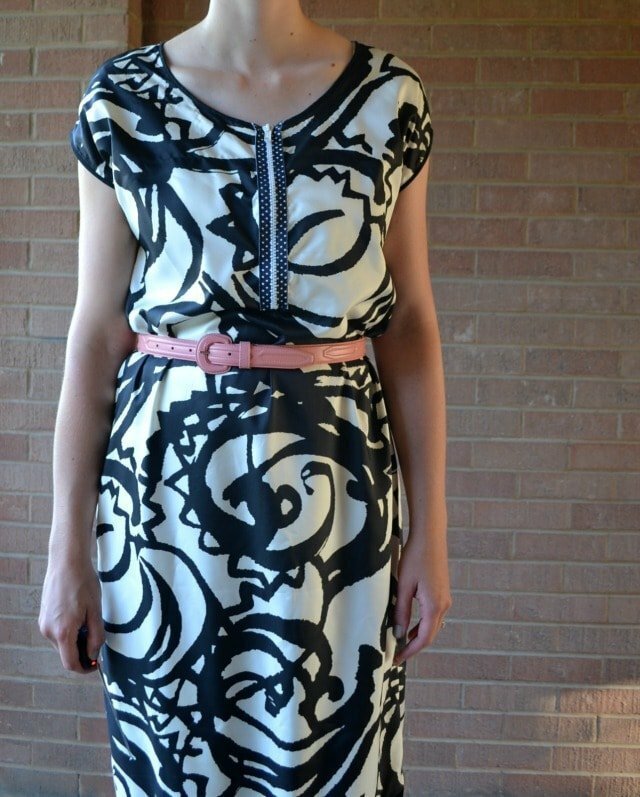 Find the center front of the neckline and draw a line that is the length of the zipper. 4. Finish edge with the bias tape. 5. 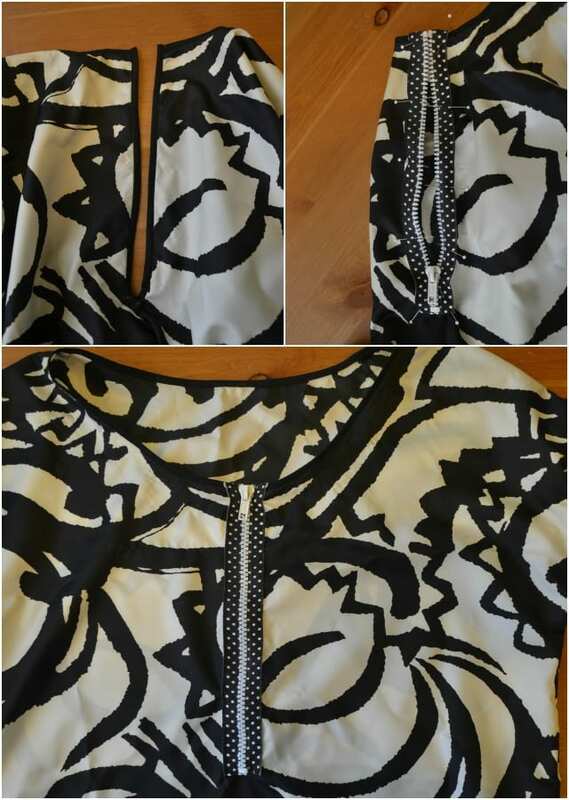 Pin the zipper carefully over the bias tape so it lines up at the top. Fold the top and bottom edges of the zipper tape under. 6. Sew next to the teeth and on the edge of the zipper tape with a straight stitch. I finished the sleeves and neckline with black binding. The hem has a black velvet band to give it a nice finished look, and it’s heavy enough to keep my dress down while I’m wrestling a toddler or baby to be quiet. 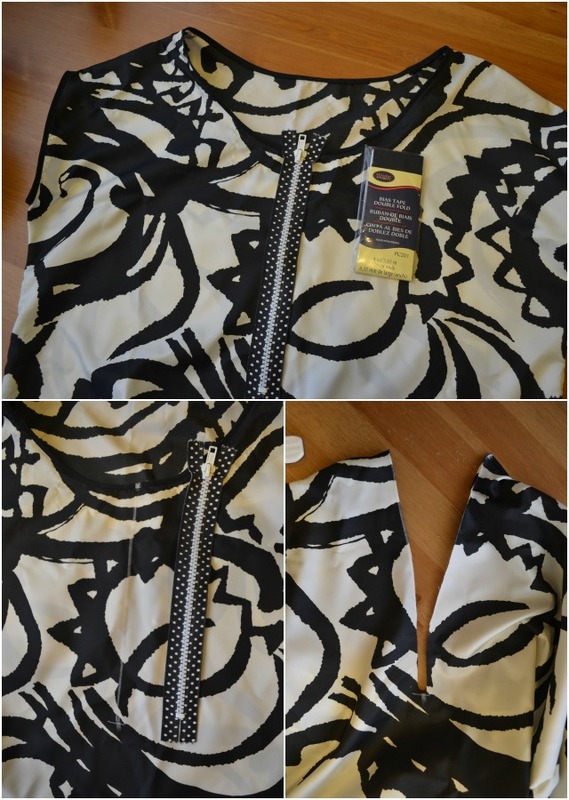 The zipper front makes nursing so easy which keeps me and baby happy! Learn how to fix a zipper if the pull came off. This dress was perfect for the wedding which was absolutely beautiful. The love was almost tangible. I am a beginner sewer, and I've been looking for ways to alter clothes to be nursing friendly, so THANK YOU so much! A question from a novice: Is there anything you would have to change to do this with a knit dress, for example? I'm such a novice I don't even know if you can use bias tape with knit, lol! Any advice will help. Thanks! I haven't tried bias tape on knit, but I'm sure if you use a lot pins you'd be able to make it work! Very Cute Heather! I just love this simple idea and that zipper makes playful. You look so great! Great idea, Heather. Finding functional and fashionable clothes that suit nursing mothers is SUCH A PAIN! Especially on the dressier side of life. I love the contrast zipper.